Roger Federer had to fight but eventually came through a tight opener on Wednesday at the Shanghai Rolex Masters, beating Argentine Diego Schwartzman 7-6 (4), 6-4 to advance to the third round of the season's penultimate ATP World Tour Masters 1000 tournament. 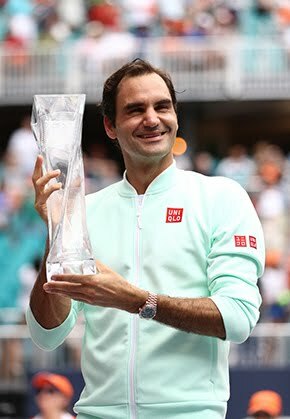 Federer improved to 4-0 against Schwartzman in their ATP Head to Head series and celebrated his 40th match win of the year with the straight-sets victory. The 36-year-old Swiss is now 40-4 during his comeback season. “I think I served well. I had good concentration. Had good energy, as well, which I think is always important early on in a tournament,” Federer said. 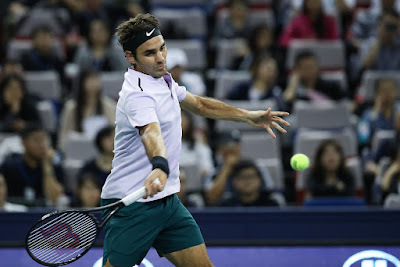 During his first match in Shanghai since 2015, Federer was aggressive as he has been all season. He stepped into flat backhands and attacked the net, winning 14/24 net points. But the second seed did have to shake off a bit of rust in the big moments. Before Wednesday, he hadn't played a tour-level match since 6 September, when he lost to Juan Martin del Potro in the US Open quarter-finals, and Federer saw break point after break point disappear in the first set. Schwartzman, though, had much to do with that as well. The 5' 7” right-hander is enjoying his best season. He has climbed to a career-high No. 26 in the ATP Rankings and was coming off a semi-final run at the Japan Open Tennis Championships 2017 in Tokyo (l. to eventual champion Goffin). Schwartzman fended off break points at 1-2 before Federer broke in the sixth game to lead 4-2. The very next game, though, Federer, the 2014 titlist, was broken. At 3-4, Federer again had two more chances to break but Schwartzman saved them all. They headed to a tie-break, where Federer overcame an early mini-break for the one-set lead. “I knew going in it was not going to be easy. He's had a great run in recent weeks and months. I really felt that he was confident. He was shaking off misses, no problem. He was serving well. You could see he was taking the right decisions on his groundstrokes,” Federer said of Schwartzman. Federer can't afford to let this opportunity for a big week in Shanghai slip if he wants to stay competitive in the battle for year-end No. 1. Rafael Nadal, who also won on Wednesday, is more than 2,000 points ahead of the Swiss star. The Basel native made life more straightforward during the second set. He broke to love to start and cruised to his 28th hard-court match win of the season (28-3). 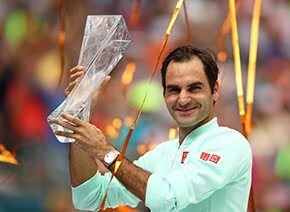 The right-hander is going for his sixth tour-level title of the year and his third Masters 1000 crown, having won the BNP Paribas Open in Indian Wells in March and the Miami Open in April. He will next face Ukraine's Alexander Dolgopolov, who beat Spaniard Feliciano Lopez 7-6 (4), 1-6, 6-4.